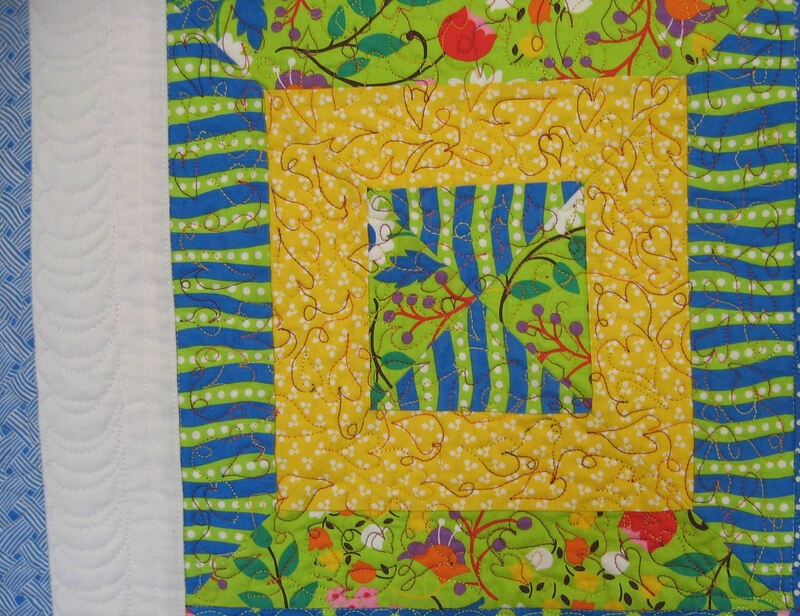 On Day 3 of the Eleanor Burns Quilting Academy, I was in the class that made a quilt top from a jelly roll in 6 hours, using a serger (overlocker). 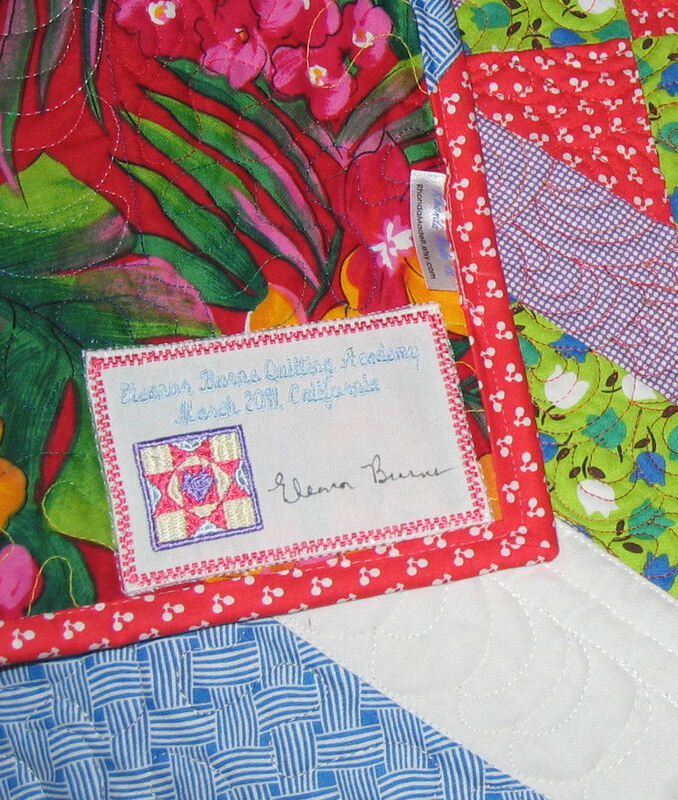 The pattern is an Eleanor Burns design, and Eleanor gave us labels for the pieces we made, which she autographed using a permanent fabric pen (see the photo of the label). 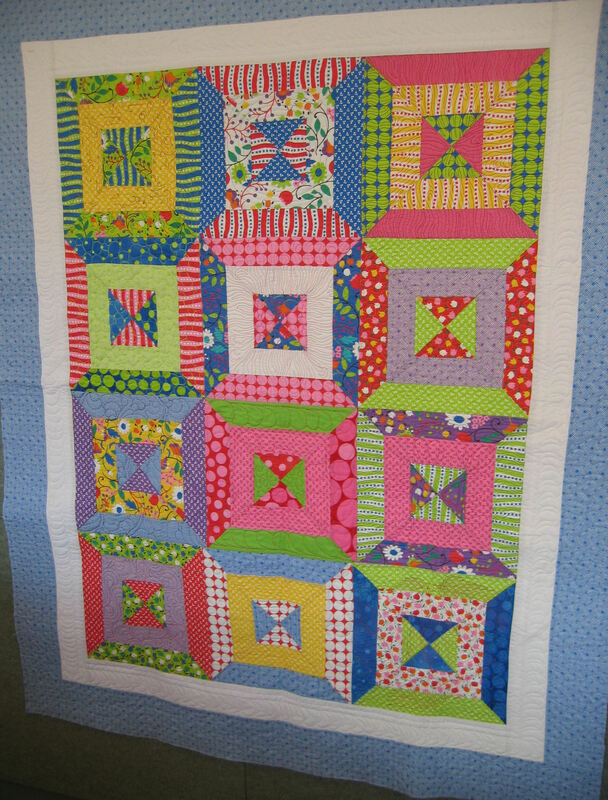 When I got home, I added the borders, the batting, and the very bright backing fabric, then spent many many hours (about 10?) 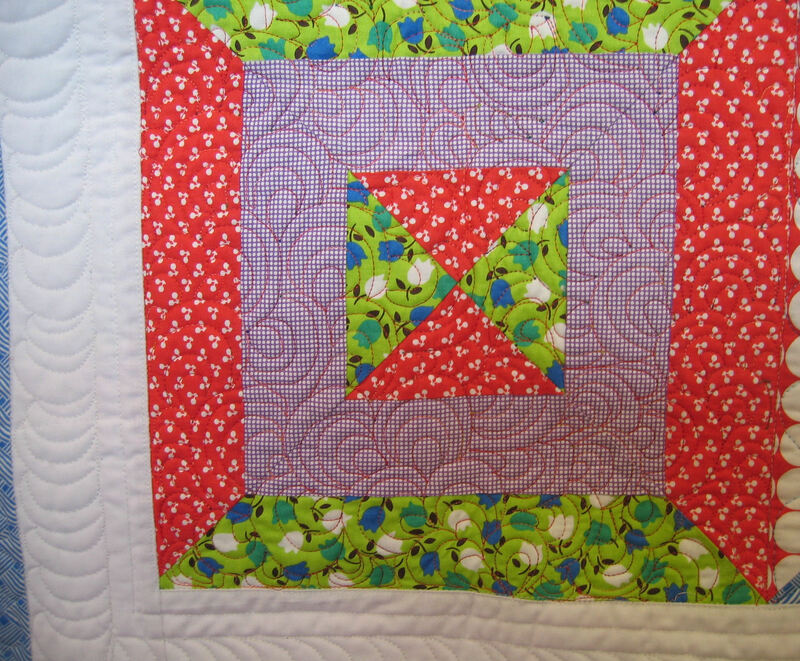 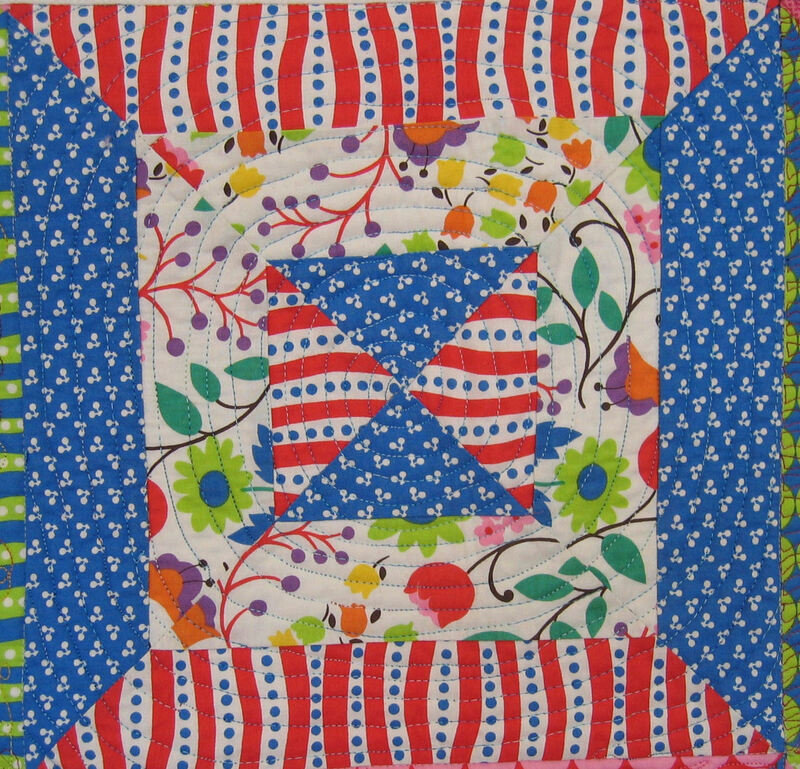 free motion quilting it on a HQ Sweet Sixteen. 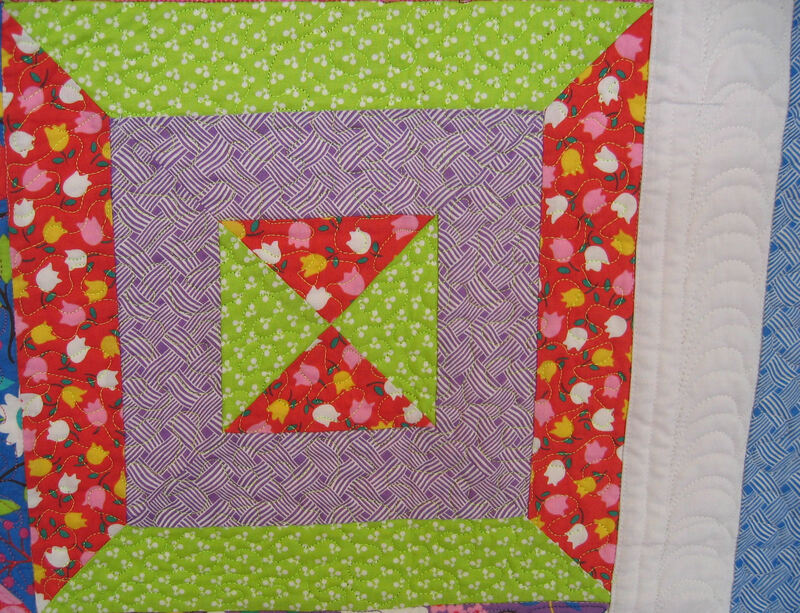 I found that flame motifs worked well in the square blocks, and so did several blocks with flame variations. 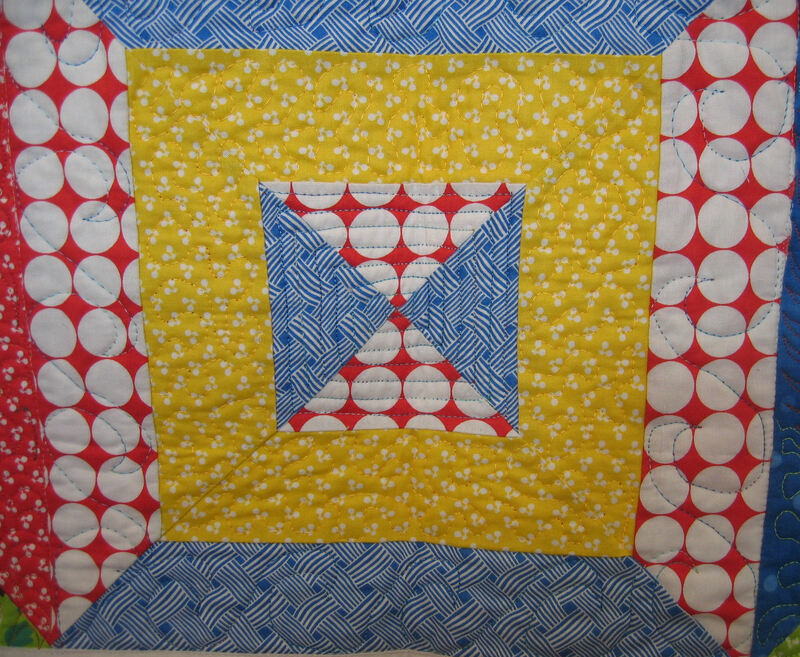 I used a red, yellow, blue and green variegated cotton thread in the bobbin, and while it worked well with the backing fabric, it did show through a bit in some parts of the stitching. 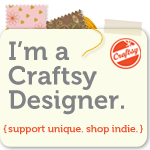 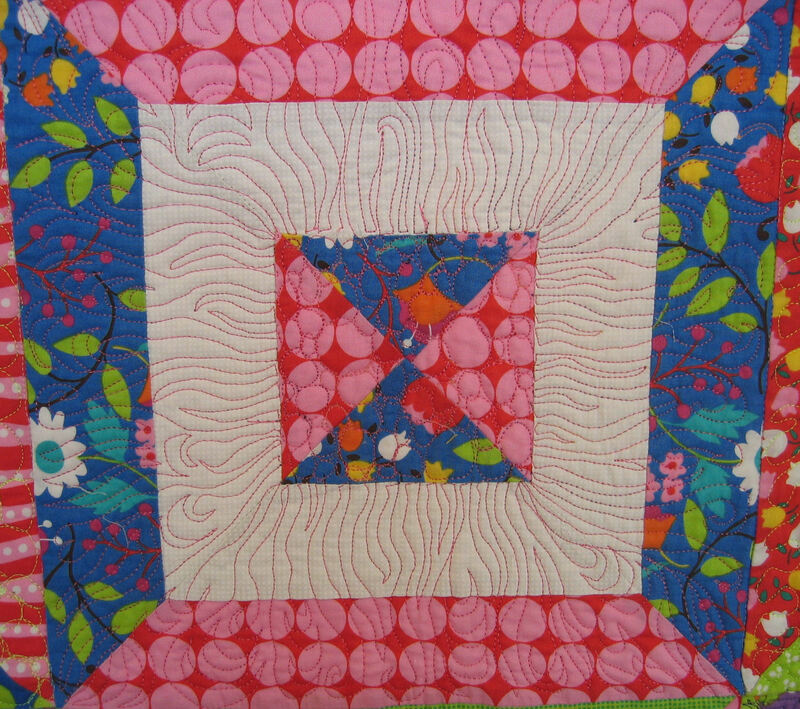 I did hooked feathers for the white border. 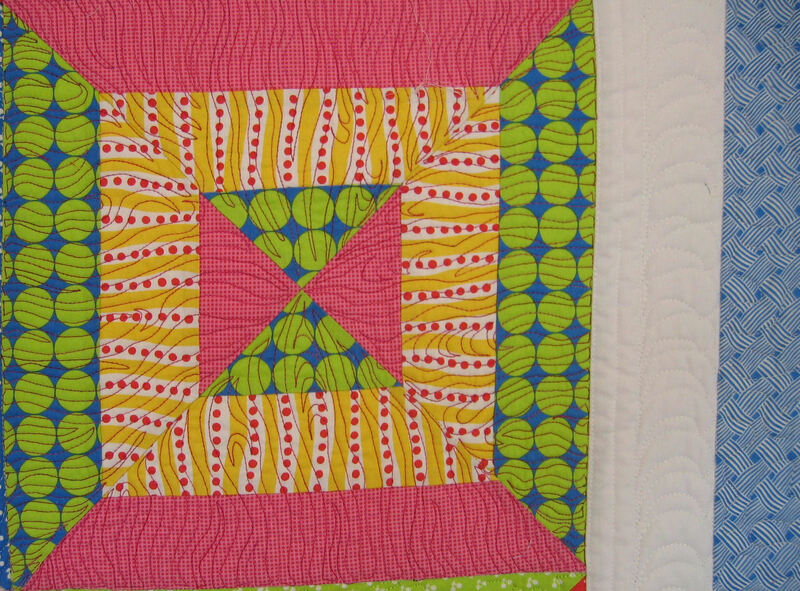 Finally, I bound this quilt with a mix of the jelly roll and border fabrics. 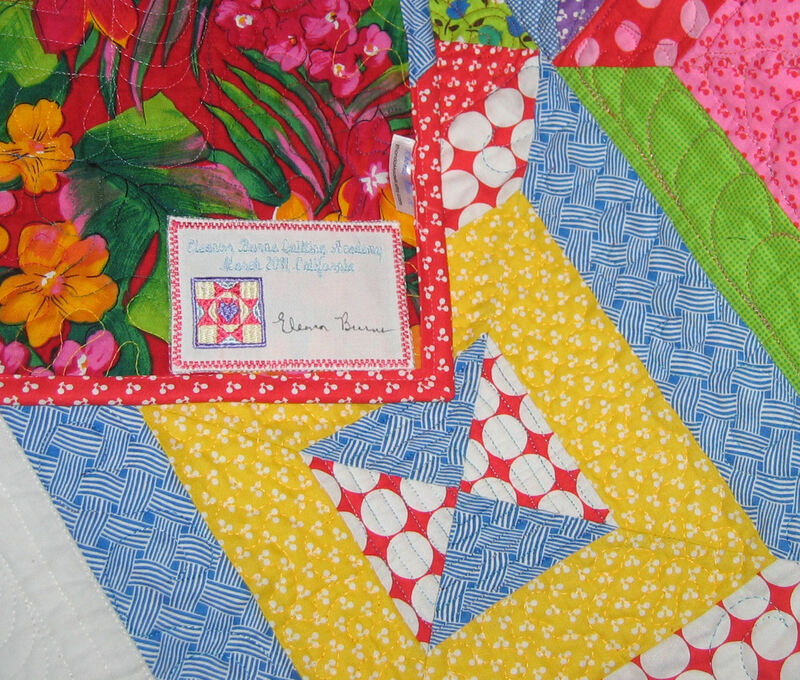 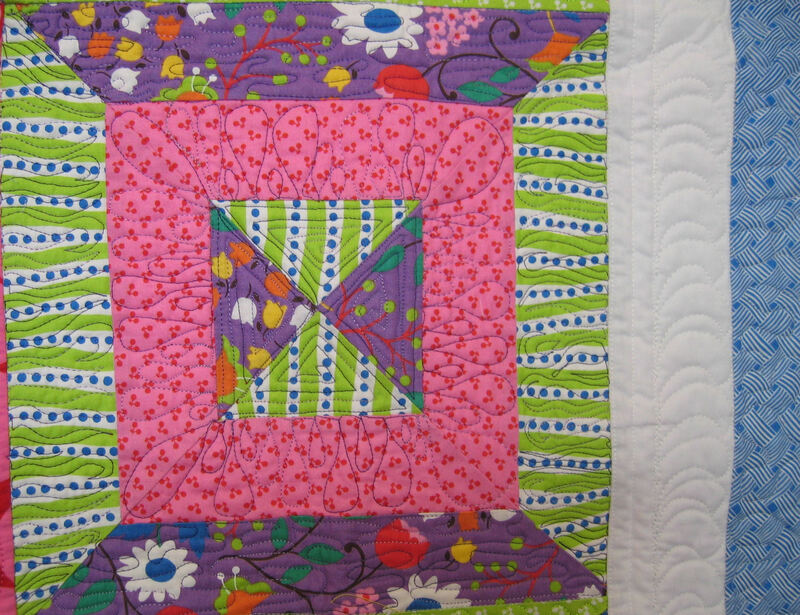 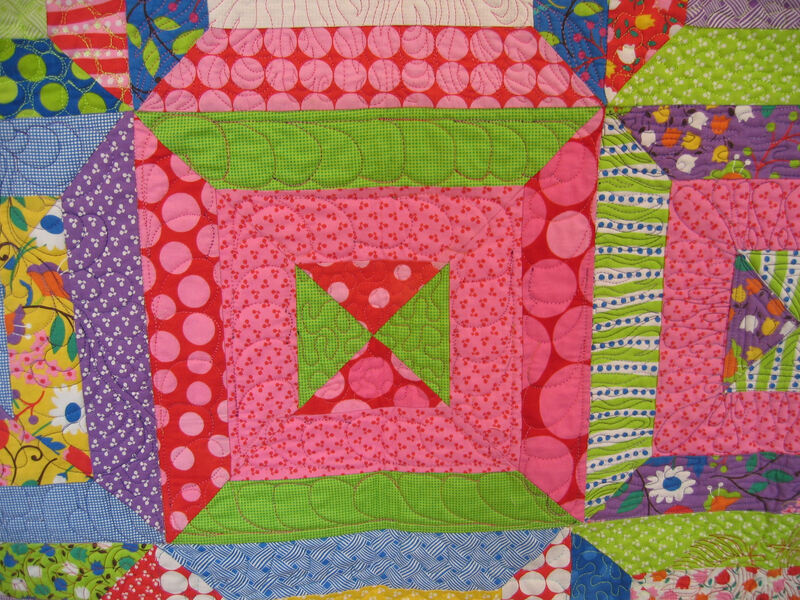 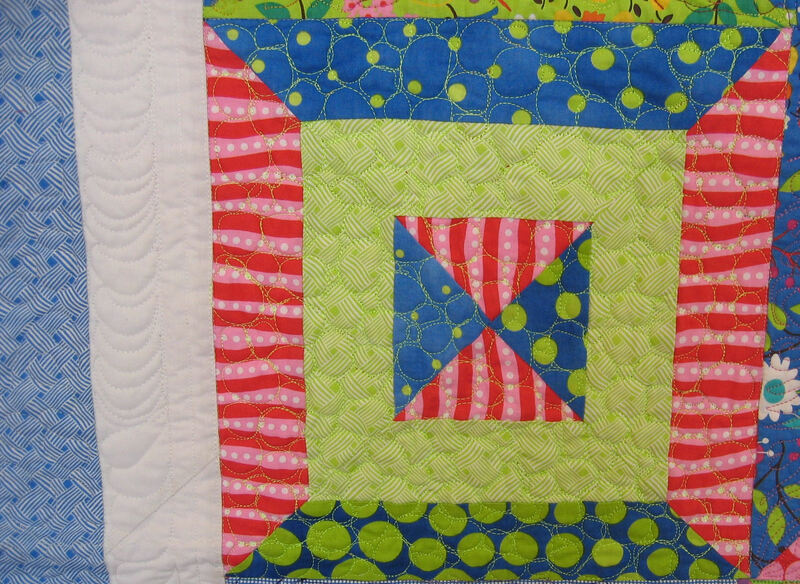 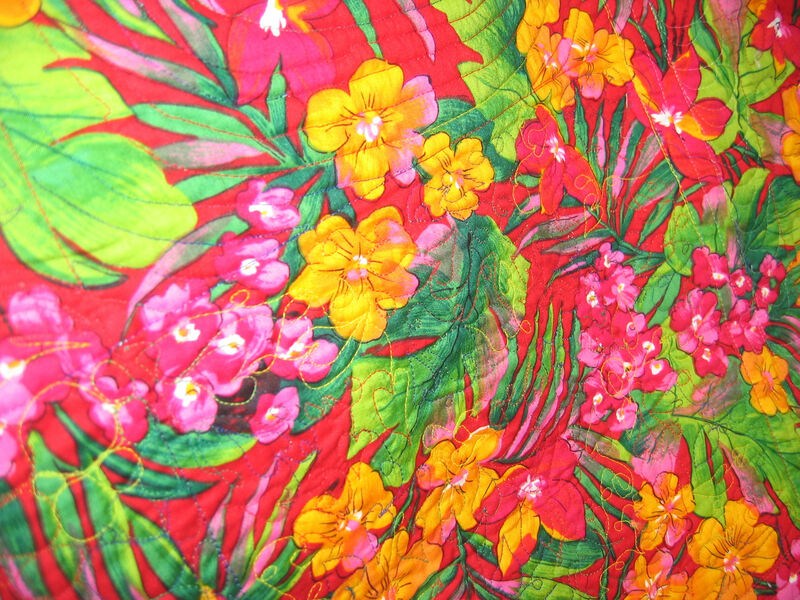 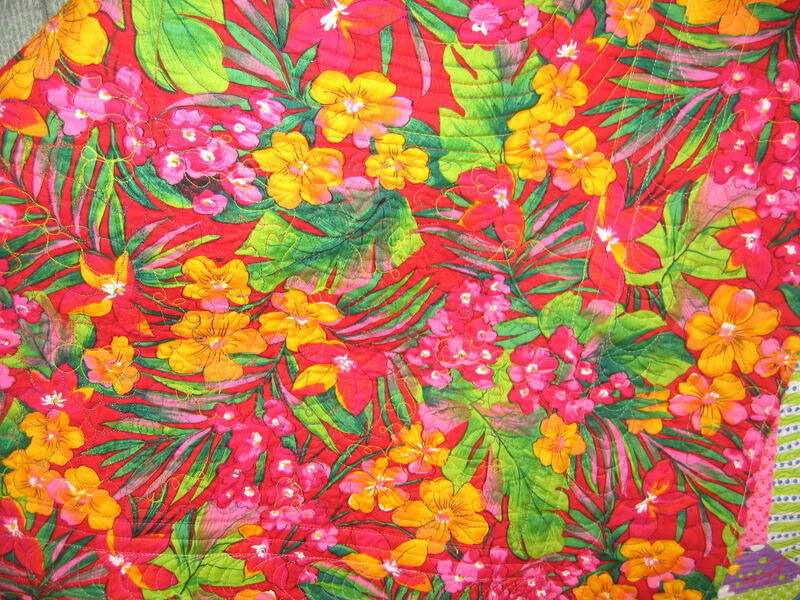 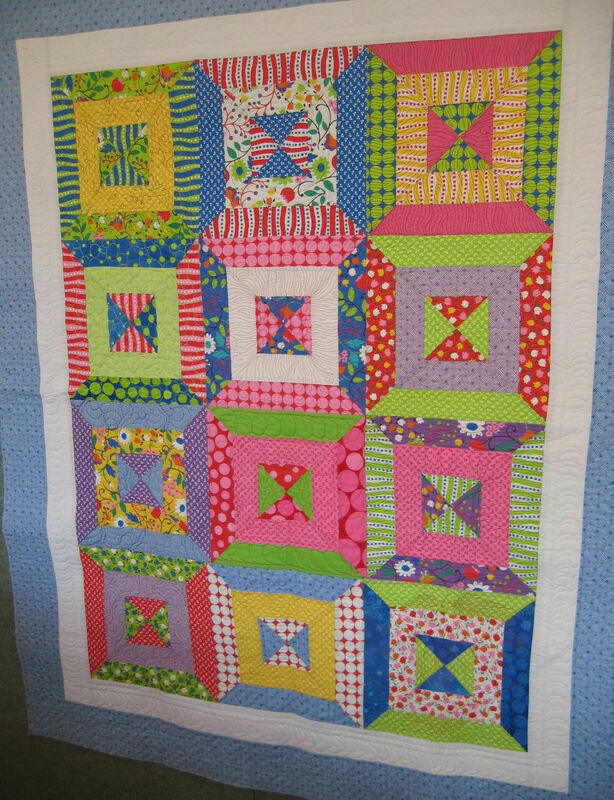 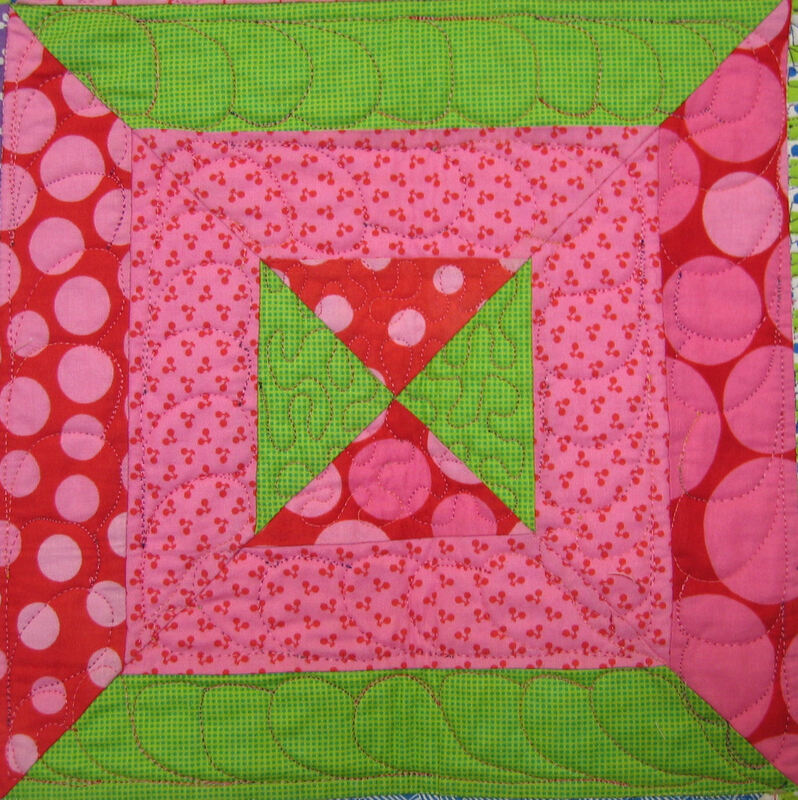 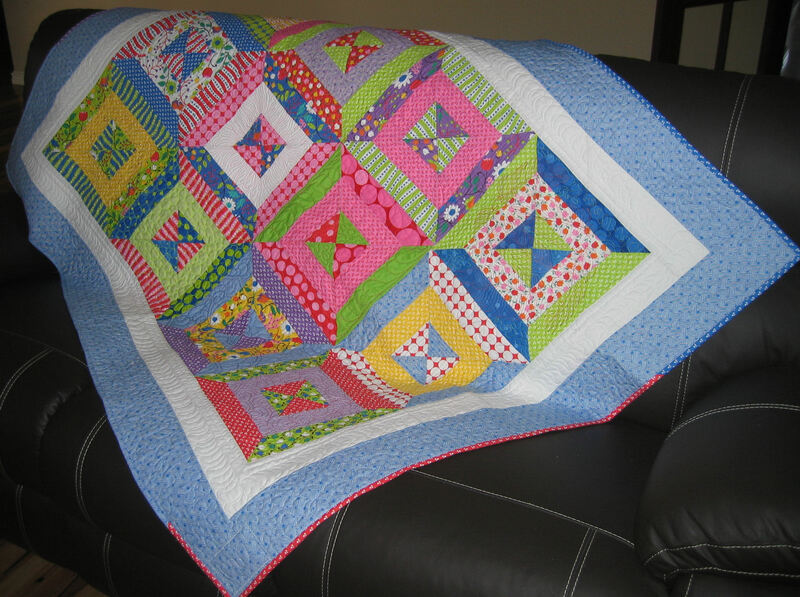 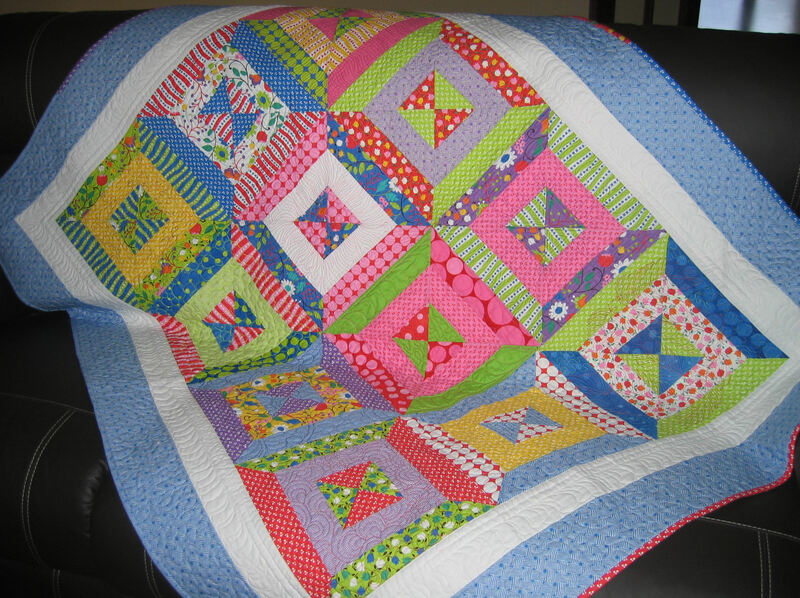 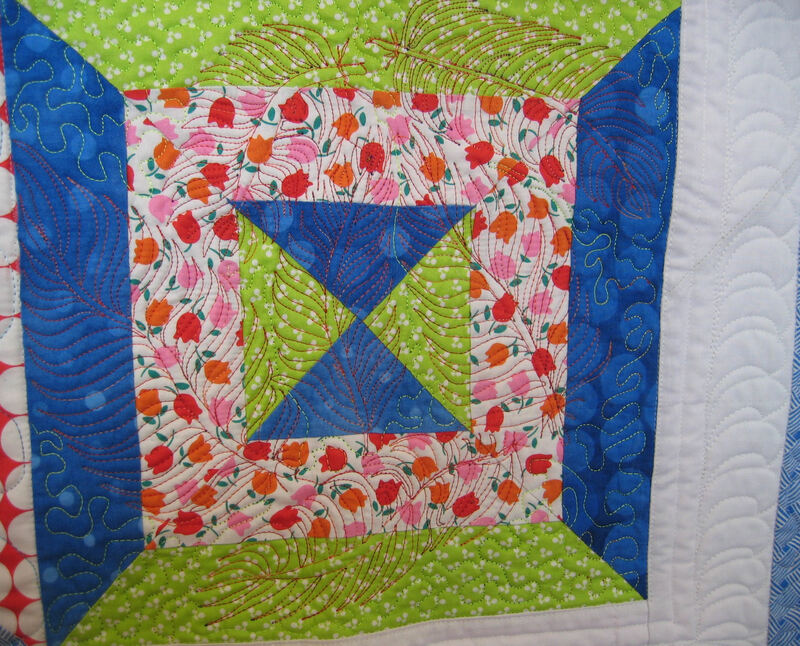 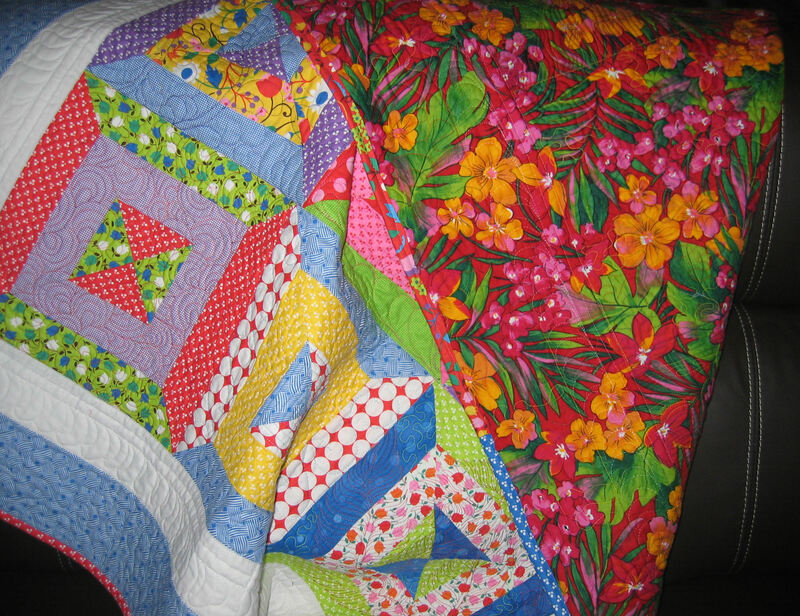 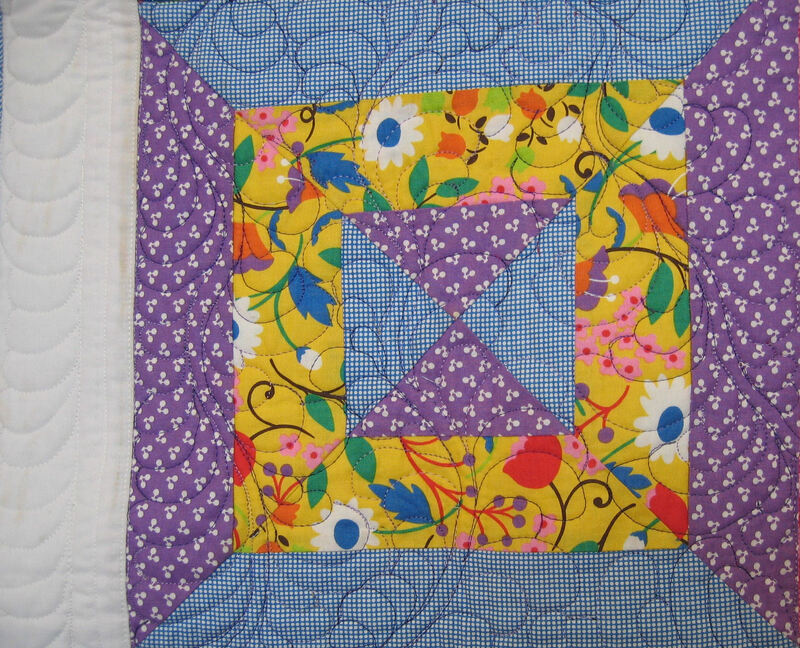 I’ve now added this very bright lap quilt to my Etsy store: http://www.etsy.com/listing/72828803/bright-lap-quilt.